← The Black Stone by Nick Brown. 1941 and for the idealistic young detective Georg Heuser his new posting to the renowned headquarters of the Berlin Police dept was a dream come true. Under the guidance of commissioner Ludtke, Hauser hopes to make a big impression on his bosses. He gets his chance quicker than he expects when rumours of a killer haunting the Berlin Railways reach the murder squads ears. Targeting lone women commuters, the killers assaults and then bludgeons them to death. As the body count rises, the Berlin Murder squad comes under increasing pressure from the ruling Nazi party to capture and execute this deviant. With war raging across Europe Hauser must use all of his brilliant skills if he is to stop the killer and earn the gratitude of SS chief, Heinrich Himmler. 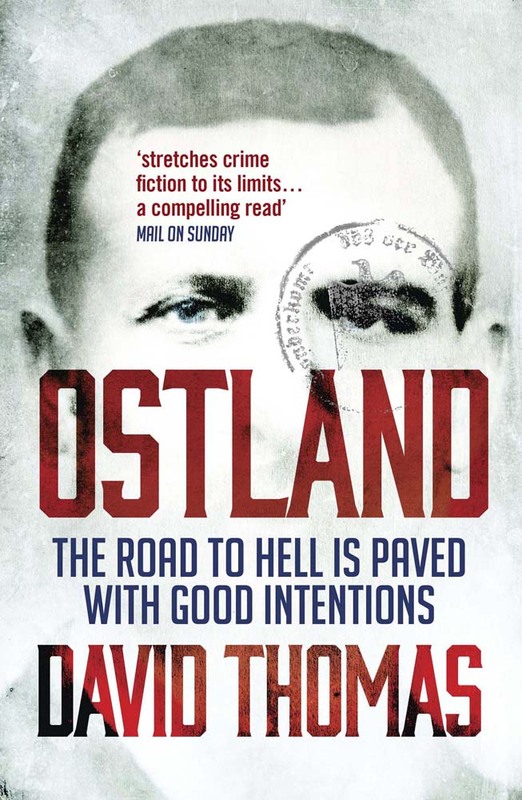 1959 and in West Germany two lawyers, Max Kraus and Paula Siebert are in pursuit of Nazi war criminals, in particular those men involved in the brutal suppression of the Eastern Front in the area the Nazis called Ostland. Charged with clearing the area of Jews, communists and any deviants deemed undesirable, these men killed and butchered their way across Eastern Europe. Millions were killed and Max and Paula are determined to these men to justice. While they are targeting many, one man is particular is in their sights. A cold, calculating and efficient killer of men these man oversaw and took part in some of the worst atrocities of the entire war. This mans name is Georg Heuser. Paula and Max what to find out how this good man became a monster. So where do I start with this book review? Okay I will start in a easy part…This is probably the best book I have ever read! So why? well that is harder to explain. The book is based on real events and real people and has three aspects to the book. The first half of the book is a murder mystery as Georg attempts to capture the killer. The second half of the book is more complex as Georg is sent to police the occupied areas on the Eastern Front and the slow descent into criminality and murder. The intertwining thread is the 1959 court case as Paula and Max attempt to bring him to justice. The first half of the book sets up Georg as an engaging and likeable character, his enthusiasm for his new job and his belief in the law and law and order make him a an easy character to empathise with. As he brings his skills to the task of capturing the killer he enjoys life in Berlin and falls in love. This sets up the second half of the book as he is sent to the Eastern front and begins the slide into cynicism and despair as his belief in the law and law and order means he must comply with the orders of the Nazi government and facilitate the removal and extermination of people they class as undesirable. It is quite a harrowing story as his very belief in the power of the law means that he struggles against the orders he receives and his belief that he must spare his men from the horror and so he takes on more of the killings himself. This book is a fantastic study of how a man can descend from an upright and decent citizen to a bitter and drunken killer of men, women and children and how he can live with himself afterwards. It is a compelling and engaging book that captures your attention from the first word and keeps it to the last. I know I haven’t done justice to just how good this book is but I honestly can’t recommend it enough. This entry was posted in 20th Century and tagged Book Review, David Thomas, Ostland. Bookmark the permalink.